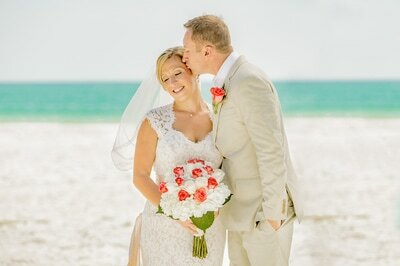 If you are looking to slip away for a quiet and on so romantic wedding – Anna Maria Island is your spot! This sleepy little beach town has so much to offer both for your wedding day, and for a little vacation for your guests to enjoy! The views cannot be beat and “downtown” is full of beach side dining, accommodations and sunsets that are simply a gift that you need to enjoy. Lindsay & Ryan, Anna Maria Island, FL.